After our great tasting of Navarra wines in March we've decided to repeat the experience, this time with different wines. Once again April Cullom, the US Ambassador for Navarra wines will present the wines. Do you like white, rosé or red wines? Luckily for you, the Navarra wine region of Spain can offer all three types of wines in a multiplicity of styles thanks to their diverse “terroir”. 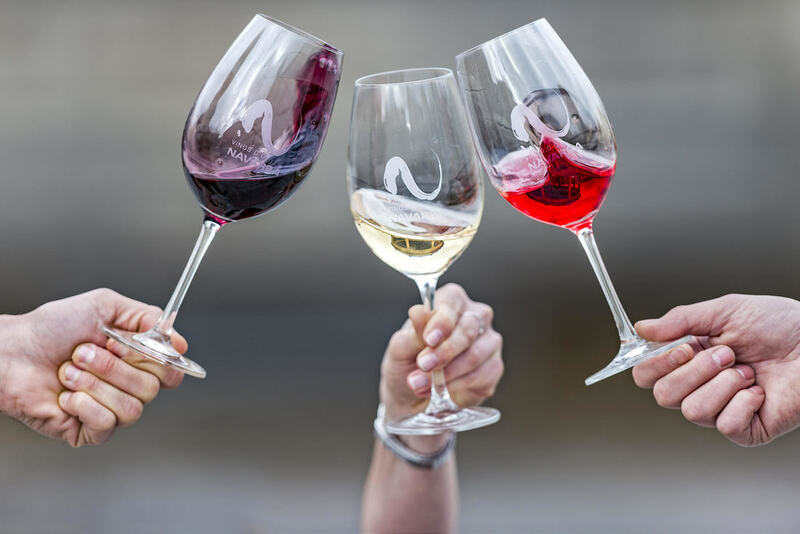 Learn more about what style of wine you like and why on May 20th as you taste an array of wines from Navarra to help you discover for yourself “your style of wine”. Learn about why Hemingway loved not only Pamplona and its annual festivities "San Fermin" (AKA, the running of the bulls) but also its wines. One of Spain’s most storied regions under vine is arguably also its most versatile and dynamic. • We can't take you all to the beautiful region of Navarra, Spain, so we brought the wines of Navarra to New York to take you on a journey of discovery of wine styles ranging from white to rosé and red. • You’ll taste over 8 wines from 4 producers. • Authentic Spanish cheeses and meats from Despaña SoHo will be paired nicely with the variety of wine styles. • The first 11 ticket holders will receive a Navarra Wine Lover gift. • Tucked below France, into a series of rugged valleys emanating southward from the mountainous tip of north-central Spain, the vineyards of Navarra spill out across verdant foothills fed by Atlantic rains before descending rapidly downriver into Spain’s vast, arid Ebro basin—a total distance, north-to-south, of a mere 80 kilometers. • We have three questions for you: white, rosé or red wines? The Navarra wine region of Spain can offer all three types of wines in a multiplicity of styles thanks to their diverse “terroir” and influce of three climates - Atlantic, Continental and Mediterranean.